Living through a car accident is almost always an extremely intense experience. Most people battle some level of PTSD (post traumatic stress disorder) after a car accident. The sounds, smells, and sights associated with such violence are hard to strike from your memory. Moving forward after the life-changing event of a bad car accident can be challenging in many ways. If you are injured, the physical aspects of recovery serve as an obstacle, but the mental stamp can be even more difficult to erase. Read on, and go into a little more detail concerning a few proven recovery tips. Those who have suffered the stress of an accident have been shown to benefit greatly from these methods. Eye Movement Desensitisation and Reprocessing (EMDR) is a method used by psychotherapists to stimulate both hemispheres of a patient’s brain through manipulation of eye movements. EMDR is an effective method of treatment for anxiety and fear associated with the aftermath of a car accident. Sometimes talking about the problem helps. 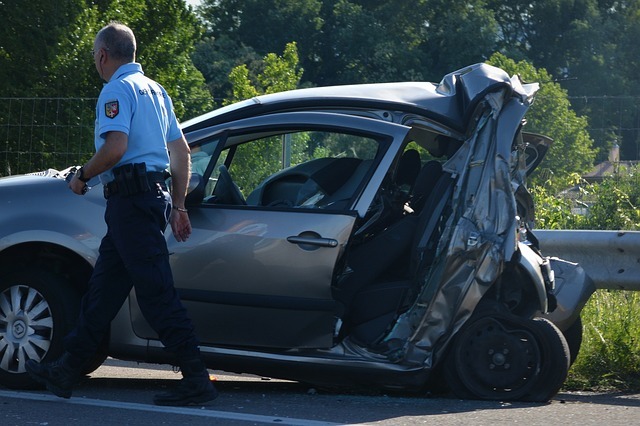 If you’re having trouble processing all of the emotions associated with the aftermath of a car accident, you may benefit from interaction with a trained professional. Psychologists focus on the mental aspect of recovery, and they do not typically prescribe medications. If you’re looking to take a more natural approach to your recovery, talking it out in a controlled, safe environment may help you to move forward. Sometimes medications are necessary to peak the mountains you climb in mental health. Not everyone has the tools and ability to conquer the lasting effects of wrecking their car on their own. Make an appointment with a trusted psychiatrist to assess your possible need for medications. Remember that admitting you need a little extra help doesn’t make you weak. In fact, it doesn’t reflect negatively on you in any way. Arming yourself with the proper knowledge to overcome feeling fearful on the road in the future may be just the thing you need to heal. Sign yourself up for a defensive driving course, and allow the professionals to show you a few things. You will learn how to drive with more awareness, and how to react with knowledge/instinct, instead of fear in those tense seconds before a crash. Self care can be extremely influential in your recovery from the stress and anxiety caused by a terrible car accident. If you choose to bypass the other four suggestions, at least treat yourself to a relaxing, stress-free retreat to get your mind right.